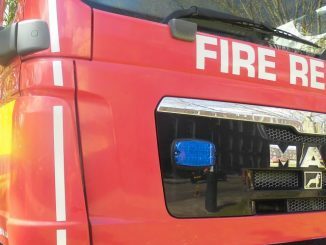 A fire appliance from Taunton was initially mobilised to a report of alarms operating, after receiving a call from a care line who monitored a socially rented, sheltered accommodation property in Trinity Road Taunton at 08:54 this morning (Monday). 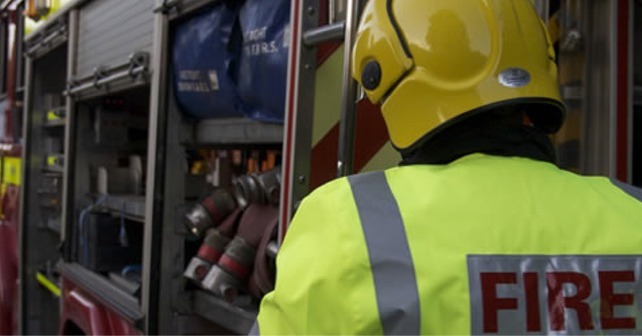 Within minutes a further three fire appliances were mobilised, which came from Taunton and Bridgwater, after another call confirming there was a fire. The first fire crew arrived on scene at 09:01 and confirmed smoke and flames were issuing. On arrival crews confirmed that there was smoke issuing from the property and four firefighters entered the building wearing breathing apparatus, setting to work with one hose reel jet and one safety jet. At 09:08 they were able to confirm the fire was under control and by 09:15 all persons were accounted for. Ambulance crew were also on scene as a precaution to check over any residents or staff but later confirmed there were no casualties. At 09:32 the incident was confirmed to be under control. In addition to the above firefighting crews also used a thermal image camera to ensure all hot spots were extinguished and then used a positive pressure ventilation fan to clear the property of any smoke. Crews confirmed the fire was within a ground floor bedroom and caused extensive smoke damage but minimal fire damage. The cause of the fire has been confirmed as suspicious ignition and the police were called to attend.